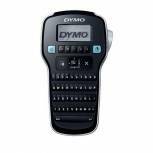 Dymo 160P LabelManager Black S0946320 Pack of 1 QWERTY keyboard. Format fast with one-touch Smart Keys for bold, italic, underline, text size and vertical text. Large LCD display. 6 font sizes. 8 text styles. 228 symbols and clip-art images. Complete with 12mm D1 starter label cassette Black-on-white. 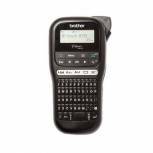 Dymo 450 Label Writer Thermal Label Printer - S0838810 Pack of 1 Dymo LabelWriter 450 prints labels directly from text in Microsoft Word or Outlook, QuickBooks, CardScan and other popular programs. Prints up to 51 labels per minute. USB Connection (PC or Mac). 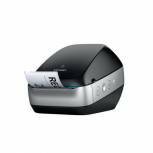 Brother QL-700 High-Speed Label Printer Black QL700ZU1 Pack of 1 Brother QL-700 Address Label Printer. Prints up to 93 labels per minute. Prints up to 62mm wide and 1m long. 300 x 300 dpi resolution. Includes 2 DK starter rolls. 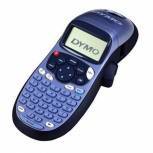 Dymo D1 240 Volt Adaptor 40075 S0721430 Pack of 1 Charging adaptor for DYMO label makers. 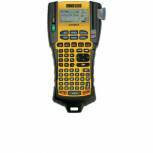 Designed for LabelManager 160, 210D and 500TS. Also compatible with LetraTAG label makers. Input voltage: 240V (AC)Output voltage: 9V (DC). 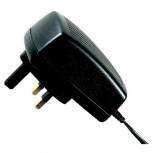 Standard UK 3-pin plug. 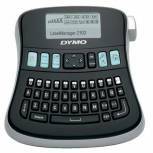 Dymo Label Manager 210D S0784450 Pack of 1 Desktop labelmaker with quick access buttons to symbols and diacriticals and 6 font sizes, 7 styles and 8 different boxes to customize your label. Auto power-off to extend battery life. Accepts 6, 9, 12 and 19mm tapes. 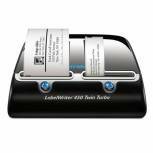 Dymo LabelWriter 450 Twin Turbo Label Printer S0838910 Pack of 1 Dymo LabelWriter 450 Twin Turbo prints two rolls of labels directly from text in Microsoft Word or Outlook, QuickBooks, CardScan and other popular programs. Prints up to 71 labels per minute. USB Connection (PC or Mac). 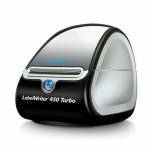 Dymo LabelWriter 450 Duo Label Printer 10S0838960 Pack of 1 Dymo LabelWriter Duo. Prints labels at up to 71 labels per minute. Prints permanent D1 plastic labels in a variety of sizes and colours. Uses thermal ink technology and creates text directly from your computer. 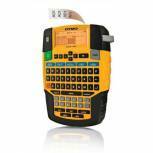 Dymo Rhino 5200 Label Printer ABC S0841460 Pack of 1 Dymo Rhino 5200 label printer. 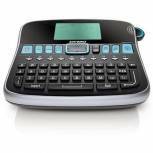 Features ABC keyboard, hot keys, pre-programmed symbol library, on screen alerts, backlit two line display, automatic shut off, bar code printing, 7 text sizes and slip resistant rubber bumper. 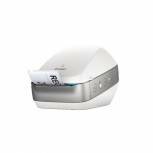 Dymo Label Manager 360D S0879490 Pack of 1 Desktop 360D Label Manager. Features 3 text lines, 6 font sizes, 7 print styles, 3 font sizes and 6 different boxes to customize your label. Supplied with quick charging lithium-ion battery and adaptor. For use with D1 - 6, 9, 12 and 19mm tapes. 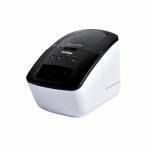 Dymo LabelWriter 4XL Label Printer S0904960 Pack of 1 Dymo LabelWriter 4XL label printer. Prints labels up to 10 x 15 cm at 300 dpi in a variety of styles and sizes. Prints up to 53 labels per minute. Thermal printing means no ink required. USB Connectivity. PC and Mac compatible. 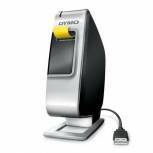 Dymo D1 LabelManager Plug and Play Label Printer S0915390 Pack of 1 Dymo LabelManager PnP. 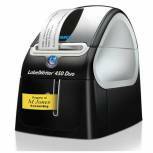 Just plug it into your PC or Mac and print professional labels easily and instantly no software download necessary. Supplied with a Lithium-ion battery which recharges via USB connection (no power adaptor or batteries needed). 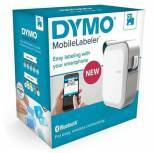 Dymo 420P LabelManager Label Printer ABC S0915490 Pack of 1 Dymo Label Manager 260P. High performance label maker that can be used as a stand alone printer or connected to a PC or Mac via USB. 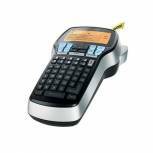 Features 4 line backlit display, 8 font sizes, 10 text and add text and barcodes by cutting and pasting using software. 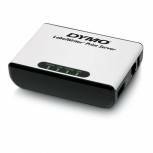 Dymo LabelWriter Print Server 400/450 Series S0929090 Pack of 1 Network adapter for DYMO LabelWriter label printers. 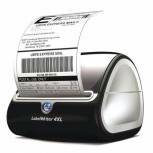 Connects everyone on your shared computer network to any of the LabelWriter 400 or 450 series label printers. Simple installation, just connect the print server to your LabelWriter printer via USB. 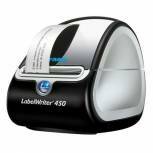 Dymo LabelWriter 450 Turbo Label Printer S0838860 Pack of 1 Dymo LabelWriter 450 Turbo prints labels directly from text in Microsoft Word or Outlook, QuickBooks, CardScan and other popular programs. Prints up to 71 labels per minute. USB Connection (PC or Mac).